My bf/significnant other have one room we share for hobbies/crafting. 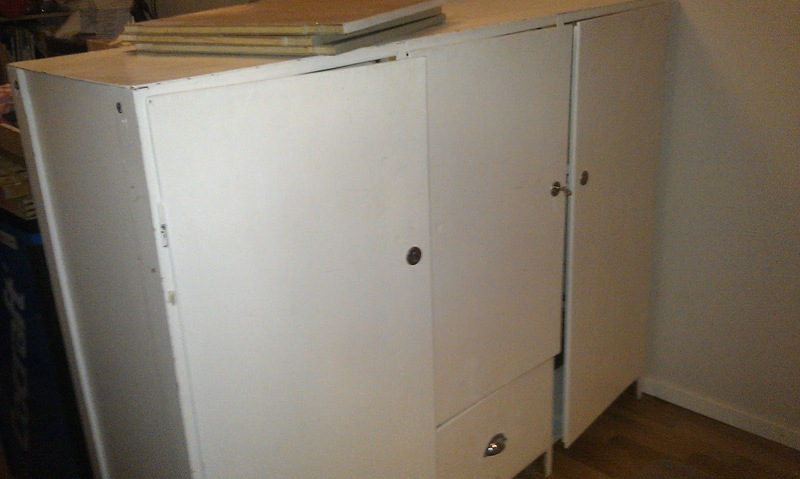 In my part of the room I have a desk, a big Ivar shelf, and an old cupboard, or dresser, that has followed me around almost since I moved out from my parents. 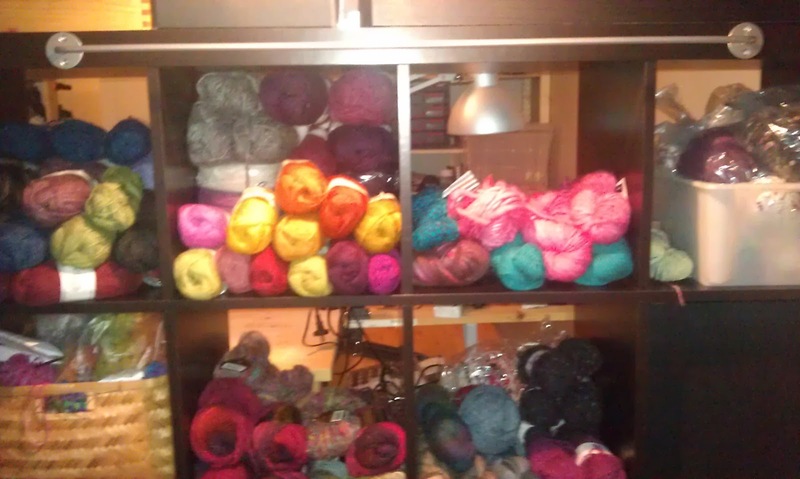 But, as stashes do, mine have outgrown the boxes in the Ivar shelf it lived in, and bags of yarn are littering the floor to the extent that its hard to see the floor boards. 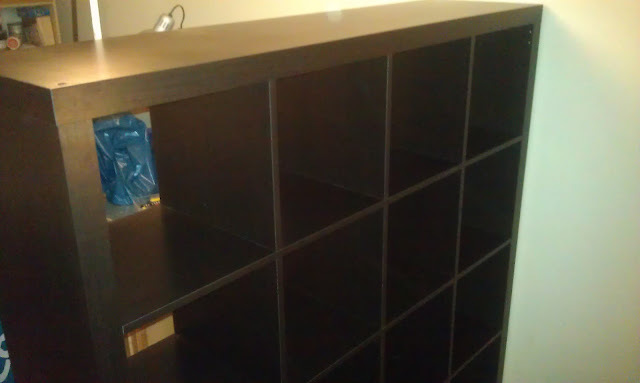 We got an Expedit shelf, actually quite often used in stores in Sweden. 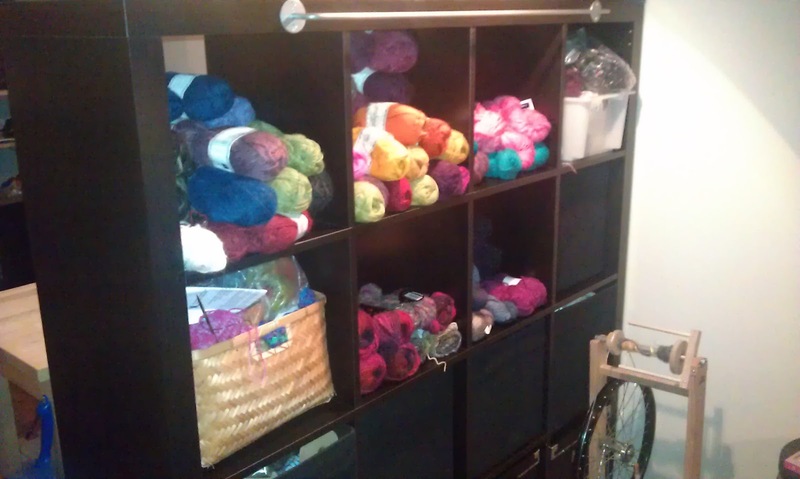 My stash corner now resembes a yarn shop, with all the luxury yarns exposed on the shelves and the more everyday yarns in boxes. It is a great inspiration to be able to sit and watch and squeeze the lovely wooliness as I ponder my next project.